MidAmerican Energy have recently warned of a phone scam that is known to be targeting their customers in Sioux City & across the entire state of Iowa. In one day alone, over 40 customers have reported getting a call from someone who claims to work for MidAmerican Energy, stated a press release issued on Tuesday. They threaten to disconnect energy services if payment was not sent. Reports of this scam have come from Oskaloosa, Des Moines, Fort Dodge & Davenport, along with Sioux City, claims the release. The press release says the phone scammers usually tell unsuspecting victims that they owe a certain amount of money and if it’s not paid to them immediately, their services will be disconnected. What makes this more worrying is that the scammers phone response system and caller ID mimics that of MidAmerican Energy, to make it look legitimate to the victims. More often than not, scammers request payment via prepaid Green Dot or Debit cards and as MidAmerican have stated that they do not accept prepaid cards as a form of bill payment, this should raise a red flag to anyone in future, who have yet to be targeted by these criminals. MidAmerican advises those receiving a suspicious call to hang up, call the police, and notify MidAmerican Energy at 1-888-427-5632. 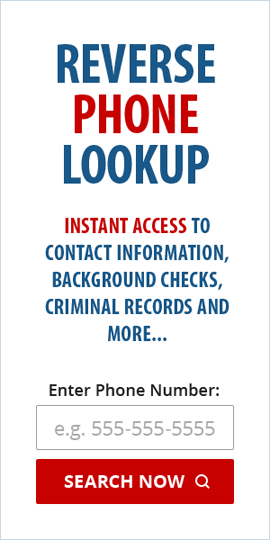 If your instinct is telling you that a specific phone call you received is not genuine OR you keep getting prank calls from the same number, you can use a reliable reverse phone lookup service to investigate the owner of any cell or landline number in the USA, in a legal and ethical way. At Reverse Phone Lookup Reviewer, we review the best reverse phone number lookup providers, so you get the best phone number investigation reports, at the best price. Be sure to check out our list of the most reliable providers within the comparison table shown below. How to reverse lookup a phone number? How to reverse phone lookup cell phone? What is the best reverse phone lookup?